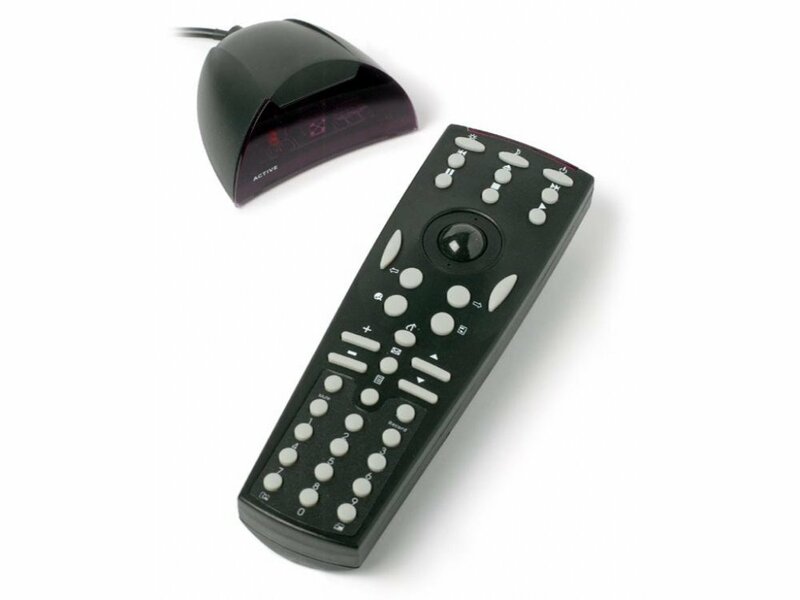 KBC LILI Remote Control Pointing Device. This unit incorporates a trackball and multimedia Hot Keys and is most useful for presentations, home entertainment PC's, or where the user needs to be mobile. The infrared receiver connects via a USB cable, and it's all finished in Black. Just like your VCR remote but with a trackball. Included: Remote controller, Infra-Red wireless receiver, Batteries(2xAAA) & Software. Supported DVD players: ATI, Creative, Realmagic, Win DVD, Power DVD, Windows Media Player, WMP Classic.